Today we have to be highly skilled webmasters with real estate website marketing in addition to being experts in marketing listings. Being a Realtor is not like it used to be a few years ago. Today my day job is marketing my listings, my night job is marketing my real estate web site. I go from closing to copywriting, from public relations to page rank, from BPO's to SEO. 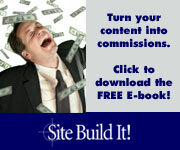 Real Estate Website Marketing Secret # 1: Google must like you. I depend on my web site for a constant supply of business. It works pretty well. People get to know us there, and they get to like us, and they are often motivated to call us for help in buying or selling a home. But before they can get to know us, and get to like us, Google has to get to know us first. And Google has to like us. Real Estate Website Marketing Secret #2: Google only likes you if other people like you. So how does Google know if other people like you (your real estate web site)? Well, if they like you, or at least respect you, they sometimes put a link on their site pointing to your site. Well, after a while, a lot of people figured out that they could pretend to be in love, and just exchange links. But, rumor has it that Google has caught on to these marriages of convenience. So now reciprocal links may not be a reliable way to show how well liked you are. Real Estate Website Marketing Secret #3: People might like you if you give them something. This secret has been out for awhile. But what can we give people? Well, we can give them some content for their websites. Not everyone can create content for their websites. Some people are content challenged. These folks presumably go to places on the internet where content is offered for free, and help themselves. There is a thing called RSS - real simple syndication - a tool folks can download onto their websites. Under a headline like, "What's New," a stream of fresh real estate news, blogs and articles can flow through their site. Pretty good for a busy webmaster. Here is where we come in. We can supply this material in the form of articles. These articles have our name at the bottom, and a link pointing to our site. We get their unrequited love and one-way link - and that is a good sign that we are, indeed, popular. Real Estate Website Marketing Secret #4: Google likes you better if people, who are in your same business, like you. Real Estate Website Marketing Secret #5: Google likes you even more if people, who are more important than you, like you. So how do you find these more important people? Same way you find anything. Just Google on a certain phrase and see who is on the first few pages. I emailed my article on "real estate inspections" to the top 20 websites listed for this term. One responded. The National Association of Certified Home Inspectors accepted it for their site. Now I have a link from an important site within my field. That emboldened me to send my eight articles to www.IRED.com - a very respected real estate site, and they were accepted there, too. Real Estate Website Marketing Secret #6: Some say that short articles are best, but I don't buy it. 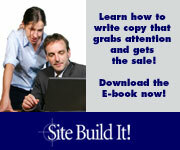 Real Estate Website Marketing Secret #7: A catchy title is helpful, but not necessary. I think it is fine to use a title that simply says what your article is about, and move on. If it is a decent article someone may put it on their site. You don't have to stoop to tabloid level. In fact, a more straight forward title might be a better fit on someone else's website. While this is mostly about pandering to the great machine, there is a possibility that a real human being might read your article and learn something. And email you about some business. You have to play to two audiences - robotic and human. Robots are easy to fool. Humans are not. You have to really have something to say. Make Your Links Work! 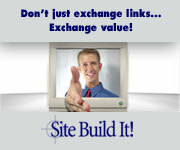 will help you find quality related sites to link to your real estate websites. More real estate website marketing ideas. You want to become aware of your thoughts, you want to choose your thoughts carefully and you want to have fun with this, because you are the masterpiece of your own life. You are the Michelangelo of your own life. The David that you are sculpting is you. And you do it with your thoughts.